Unfortunately Casino Land is no longer accepting players from Australia! Casino Land offers over 250 enticing games, including pokies, roulette, baccarat, poker, and other modern and classic games delivered by gambling industry leaders. The casino features a generous bonus package and a loyalty club which add fun and excitement to the gameplay. Design-wise, the casino has catchy visuals, a streamlined layout that suits well to all devices, and an uncluttered menu structure that provides a trouble-free navigation across the Casino Land website. The casino presents the best and most popular games produced by Betsoft, Microgaming, NetEnt, NYX Gaming, Quickspin and Play’n’Go, that will cater for a wide variety of tastes, preferences and budgets. Pokie devotees will find there 5-reel pokies, 3-reel pokies, 243 ways to win pokies and other incredible pokies that are available both in a free mode and for money. Roulette fans will be happy to place bets on European, French and American roulette games, whereas the players who prefer blackjack also have a big selection of blackjack variants. In the Live Casino section, there is a dozen live dealer games powered by Evolution Gaming. Run by human dealers, live games offer a truly immersive experience and a genuine Las Vegas feel. Casino Land gives you the chance to become an instant millionaire playing the pokies that feature a progressive jackpot. 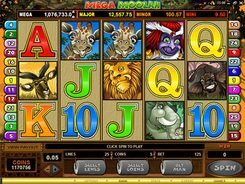 These are an iconic Mega Moolah, a gorgeous Mega Fortune, an elegant Arabian Nights, and about 15 other progressive jackpot pokies with huge prize pools that increase virtually every second. Players may pick from over ten trusted banking methods like Visa/MasterCard, Neteller, Ukash, iDeal, etc., with instant processing times. Deposit and withdrawal limits for all payment methods are $10 to $5000 per transaction. The casino does not charge any fees when you transfer money to or from your account. New players are entitled to claim a welcome bonus on the first four deposits, up to $800 in total. To be eligible for the welcome package, a player must fund an account with a qualifying $20 deposit. Some games are excluded when meeting the WR (e.g., roulette, video poker, etc.). 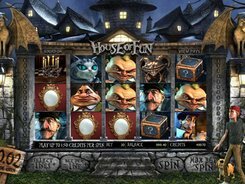 The casino may sometimes offer bonus free spins with capped winnings or specific playthrough requirements. call the support team directly (three phone numbers are available).